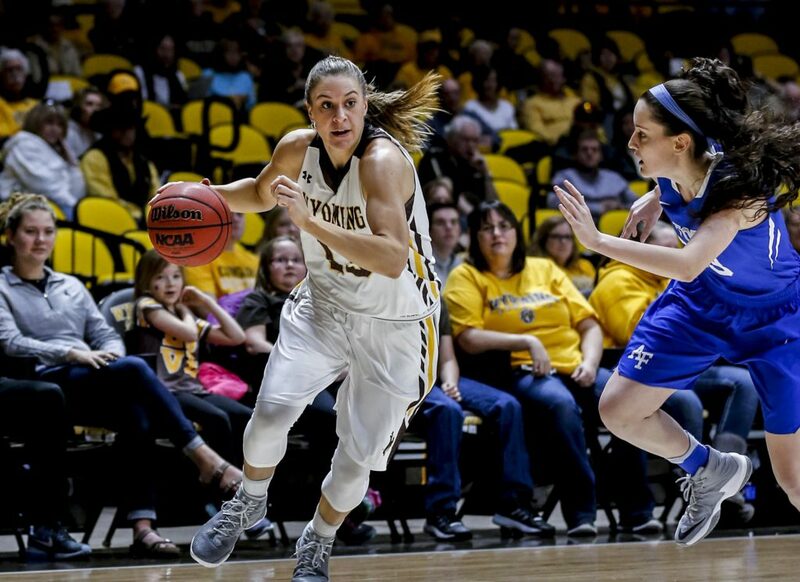 The Wyoming Cowgirls basketball season may have ended in disappointing fashion, however, on Monday the Cowgirls got some news that brightened up their day. Senior guard Liv Roberts was named Mountain West player of the year. Head coach Joe Legerski was named Mountain West coach of the year. Marta Gomez was named the Mountain West 6th player of the year. Liv Roberts was named to the All-Conference team. Bailee Cotton was named to the all-defensive team. Roberts, a senior from Missoula, Montana earned her first Mountain West player of the year honor. Roberts led the Cowgirls in eight statistical categories this season in the 28 games she played in. She also led the Mountain West in total points for the season. In her Cowgirl career Roberts reached 1000 points and 500 rebounds, becoming only one of 17 Cowgirls to achieve this. Liv Roberts is the first Cowgirl to win player of the year since Aubrey Vandiver did in 2011, and Amy Burnett won it in 1994 and 1995 when the Cowgirls played in the WAC. Liv managed to do all of this as a senior despite the fact she tore her ACL at the end of last season and was able to come back at full strength this season. Marta Gomez, a junior from Valles, Spain averaged 8.8 points and 2.4 rebounds per game. Gomez was second on the team in three point field goals made. Gomez is seventh in school history with field goals made and eleventh in attempts. Bailee Cotton, a junior from Denver, averaged 8.1 points per game and 6.9 rebounds per game. Cotton also had 1.1 steals per game, and had ten blocks on the season. Joe Legerski won Mountain West coach of the year for the third time in his career, including last season. The Cowgirls turned in their ninth 20-plus win season under Legerski’s tenure. The Cowgirls won 13 conference games this season, the most in program history. Legerski now has 287 wins in his career, including 146 in conference play. The Cowgirls will open up the Mountain West tournament play against New Mexico on Tuesday. It will tip off at 9:30pm at the Thomas and Mack in Las Vegas.